If you make a long term SIP in mutual fund growth or dividend reinvestment schemes and unfortunately the market is fall like 1992 2008 2013 2016, then most of your profit goes back and your portfolio value may down below your primary investment (principal investment). 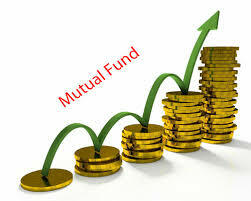 So on 21 Jan 2013, you are happy to see that you get INR 34759 Profit (17.37% Return) on your investment of INR 2,00,000. Unfortunately, the market is fall and NAV of your mutual fund are also fall. 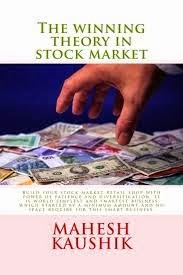 ( For more details, please refer Chapter 24 of my book because I write this article give more insight on chapter 24 "How to Book Profits in Mutual Fund SIP" of my book "The Winning Theory in Stock Market"). So after this market fall as on 21 Aug 2013 NAV of HDFC Top 200 Growth fund was 187.204. Now you lost all of your profit 34759 also lost your basic principal amount 12796 That time you worried that why not you sell your units on 21 Jan 2013. So I innovate a profit booking formula for mutual fund SIP. You read his method in chapter 24 of my book. As per this formula "When your total portfolio value grows 11% then book your 33% corpus and continue you’re SIP." Some of my followers still not understand this formula clearly and demand that I upload an excel sheet to clear this formula. Now you may still argue that instead of profit booking if we continue to hold these units then we get more return if they compare profit booking of INR 22885.68 in above sheet. 1. Currently, the market is high, and when the market is correct then most of your notional profit also run away from your portfolio but if you book your profit 22885.68, then it never went in any situation. 2. If we re-invest this total amount of INR 74576 (which we get through the selling of units see the last row in above excel sheet), then this amount also earn from bank FD or individual stocks. 3. Finally, I have other revolutionary Idea that if you do not want to use this money INR 74576 which we get by selling of units. Then revert this formula and re-invest last profit booking again when your portfolio value down 11%. It means sell units when portfolio value rises 11% and reinvest this money when portfolio value down -11%. Excel sheet what happen when we sell on 11% rise and reinvest on 11% fall. Some of my followers have very suspicious nature, so they comment on my earlier posts and doubt on my historical NAV data. Finally, This is your time to comments, better what you think about it? If you try different % in above sheet and better % ratio, then do not forget to share it in comments.